We had a nice lie in after three early mornings on the run. In mid morning we set off for Pennington Marshes near Lymington where a Red-breasted Goose had been reported. This is probably the same bird that I saw at Christchurch last autumn and failed to see twice on the Exe in Devon earlier this year. It is clearly moving with Dark-bellied Brents and presumably will follow them back to arctic Siberia. whether it actually meets up with any more Red-breasts which have a very restricted breeding range (Taimyr Peninsular only) is a matter of conjecture. It was a wonderful spring like day, wich temperatures around 15 C. Many birds were in song and many people were out walking the dog, cycling, jogging or birding. We saw the Red-breasted Goose but it was fairly distant and into the sun so photography wasn’t possible. 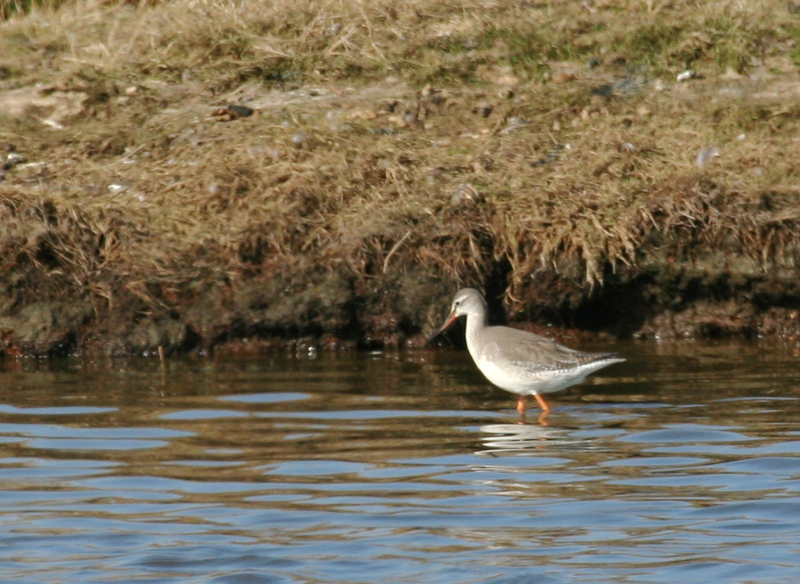 However conditions were ideal for photographing birds on the freshwater lagoons, the results are shown below. I was unable to get any photos of the Red-breasted Goose as it was distant and against the light, but here is a photo of what may have been the same bird, taken in Christchurch last autumn.